Hawaii was a Pacific territory during World War II. But it wasn’t the manicured beaches and tourism mecca that we know today. It was a territory, and it was laid back, you have to understand, very very primitive. Primitive. Kamaiamaia Highway was a dirt road and everything. 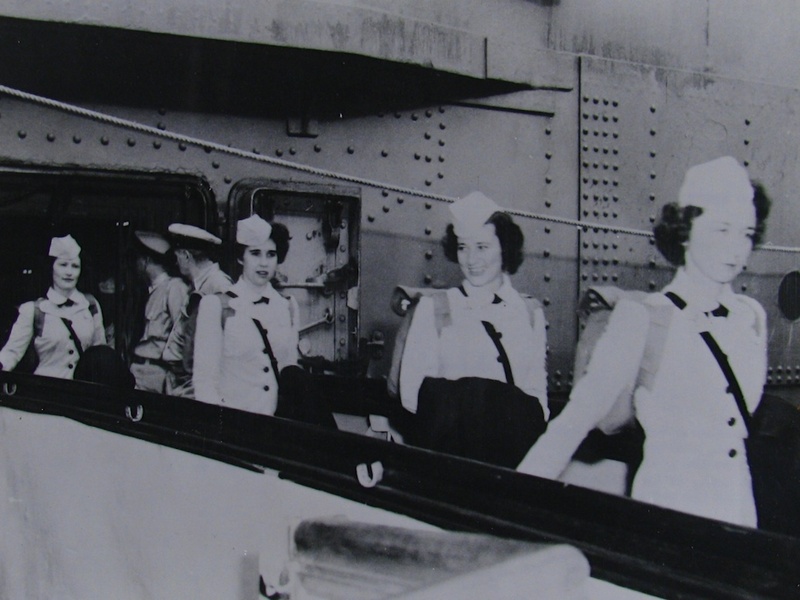 This photo shows WAVES disembarking from their transport ship in January of 1945. It comes from the National Archives.